As we near Christmas, there is something of greater significance to the season for those who have heard of the Gospel and believe in it. But there is also a question of how the heart of humanity responds to the Good News. In our personal capacities as well, we need to ask ourselves this question. Not long ago, Pr Mayumi Yamazaki of JCM Agape Network in 1 Mont Kiara shared a message from her heart concerning this. Pr Mayumi shared that if we want to know about Jesus, the place to go to is the Gospels; eyewitness accounts of the Messiah’s coming on earth. Among all the Gospels, the best source to know Jesus is that written by the apostle John. John was described as the disciple closest to Jesus’ heart, and he identified himself as the beloved of the Lord. There is something special in the Gospel of John. Worship at JCM Agape Network Church. However, in the early chapters of the Gospel of John, there is another man who is also called by the name of John. Before the advent of Jesus, this John had already had a calling; in John 1:6-7, the Bible says that John the Baptist was sent by God. John the Baptist’s mission was to testify of the Light of the World, so that through him all may believe. But John the Baptist was not the Light; he only came as a witness to the Light. Why are these facts significant? What John the Baptist was proclaiming was not his own opinion or imagination, Pr Mayumi conveyed. He was testifying the truth about the Light, received through a revelation from God. Jesus was coming as the true Light that delivers everyone who was, and is coming into the world from darkness. Yet though Jesus was not just the Light who had come into the world, but also its Foundation, the world did not recognize Him. There is in fact a sad and profound irony in this. During Creation, God had created us in His image. This meant that He invested something of Himself inside of us. He created us with the capability to know Him. Despite that, there was a time when through all our searches, we were unable to see or hear Him. The Fall in the Garden of Eden had completely separated us from God. There was no hope for us and we were once totally spiritually blind. During the time of John the Baptist the Israelites were in a similar situation. It was necessary for Jesus to come, for we can never find God unless He reveals Himself. Jesus came into the world as the revelation of God, an act of incredible grace. He did not leave us in the darkness. He came so that we may have hope. We are not just celebrating the birthday of the infant Jesus on Christmas Day. There is something much more significant to the Person of Christ. It is the hope that came into darkness that we are celebrating. Pr Mayumi expressed that this is why Christmas is significant to those who know the Messiah. How then do we respond? For there comes a time when every single person will have to make the decision as to their own response. We have no excuses because the Son of God had come to live with us, and not just to move among us, but to dwell in the midst of us. God has revealed Himself to us. Through Jesus, we are able to see God and recognize His purity and holiness, and this holiness is innate in God. The most important thing in our life is knowing our Creator. Coming to know our Creator changes our lives and everything that is about it. Everything revolves around Jesus for the very fact that He is the center of everything in existence. Through Him everything was made, and nothing can stand alone apart from Him. We come to this identification when we truly understand the Good News and what Christ has done for us. Pr Mayumi imparted that to understand the Gospel we must understand also the other side of it. We must face the problem of sin head-on especially when we share the Good News with others. We cannot always just put the blame on Adam and Eve. We must take responsibility over our own responses. The story of Adam and Eve points to a cosmological problem about the human condition. In the Garden of Eden, God had walked with Adam and Eve everyday and there was only one commandment. Yet though God had blessed Adam and Eve and took care of them everyday, they had chosen to believe in the stranger instead of the One who had taken care and fed them. Pr Mayumi conveying her sharing about our individual response to the Gospel message. ‘How would we have felt if we were betrayed in the same way?’ Pr Mayumi conveyed. The ones that God had love and taken care of chose to believe in the word of a stranger and turn their backs on Him. However, eras later, the people that Christ had come to save and given hope, turned their backs on Him and nailed Him to the cross. People had not changed much. This is why the Scriptures say though Christ was the light of the world the world did not know Him. We must ask ourselves; how would we accept Jesus if He were to come today? The less people know, the more they’ll judge others, Pr Mayumi expressed. There are many arguments today centering around Jesus and what Christianity is about. Part of this has been about the difference between Christianity and other religions, but it is actually really straightforward. It is not about the religion and the lessons on life that we receive through religious classes. Christianity is foremost coming to the understanding that redemption can only come through Jesus. The real point of the Gospel message is of the person of Jesus and the faith in Jesus. There is a difference in knowing the Good News and really knowing it. Truly knowing the Good News takes a level of commitment. There is a truth that while information doesn’t save us, we cannot be saved without it. But this also requires us to respond on our faith. Scripture says Jesus knocks on the doors of our hearts and if we open the door He’ll come in and abide in us. Hearing the knock is the information; God speaking to us. Going to the door is belief; acting upon the information. Opening the door is commitment; the part of saving faith. Pr Mayumi conveyed that we must approach the Good News in its totality. We must preach the whole message of the Gospel. This was what John the Baptist was doing. 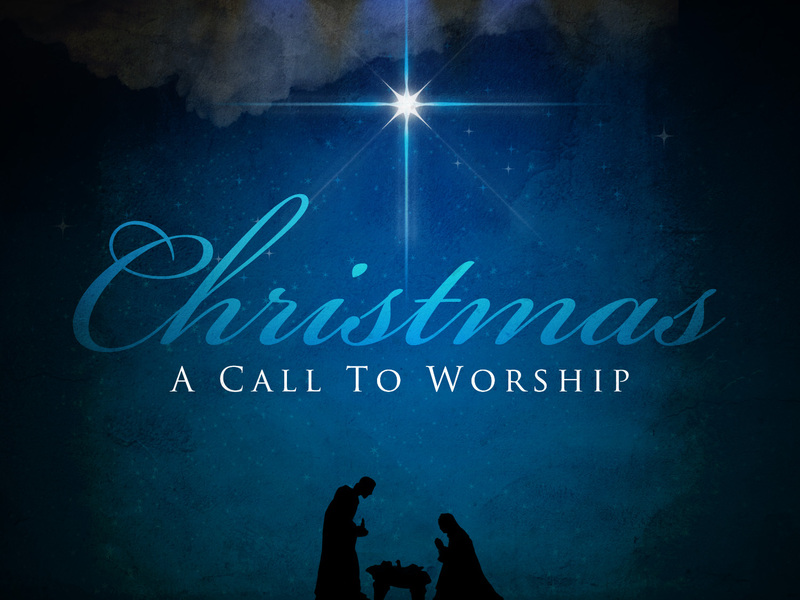 Her challenge is that this Christmas will be a time of worship and gratitude unto the Lord. God has given us everything, even the power to believe and to receive; to become the children of God. We must all stand together in our response to this.